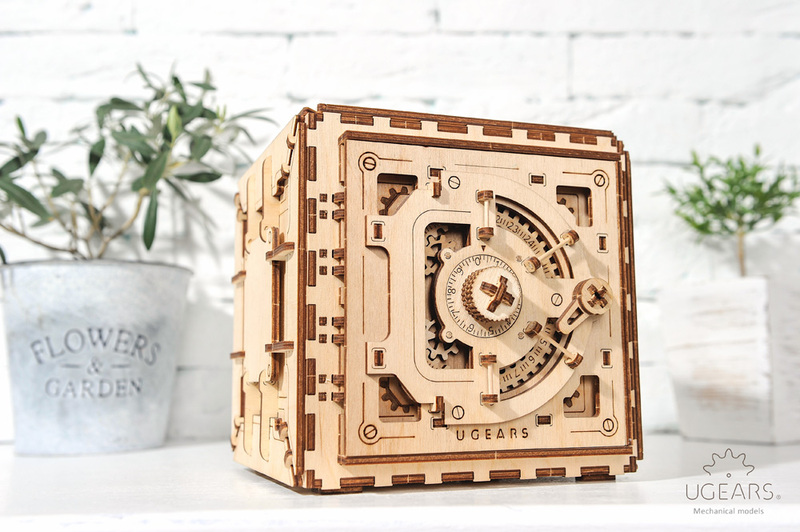 By default, the Ugears Safe is assembled with a standard combination lock code (4 of them are pointed in the manual). To set another code, during assembly you will need to replace the pegs #48 and #49 located in three large washers labeled 40, 41 and 42 into the slots with other numbers. How to make your own safe lock combination, to find out the right digits for the pegs and to put your personal code during the assembly? It’s quite easy to do, solving a math exercise. 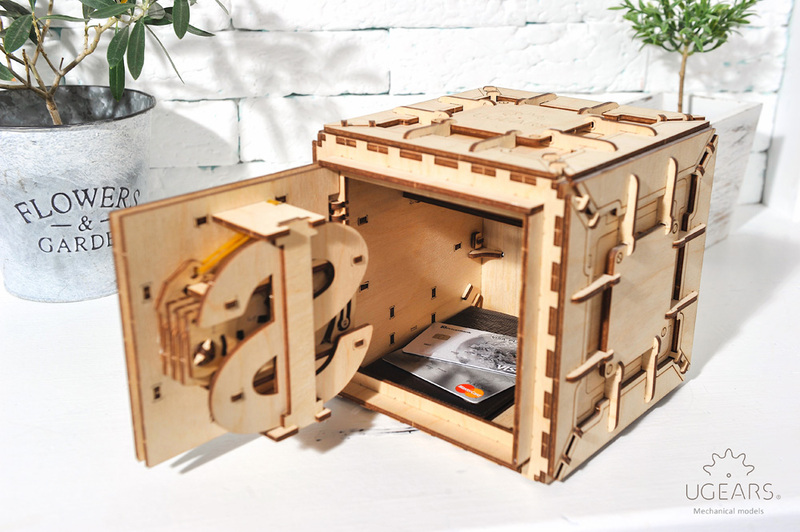 Special thanks to our customers (AlanT and Alexander Matis) who created this math model of safe lock configuration. where A, B and C are the digits of the wanted code. If you don't now 'mod 10', than just go to Google an type '5 mod 10' and Google will tell you. Though we believe that you know the ‘mod’ function. again: Google will tell you, that “-5 mod 10” is 5, just don't think about what this means :-). Though we believe that you know the solution. again: Google will tell you, that -2 mod 10 is 8, just don't think about what this means :-) Though we believe that you know the solution. So: for 416, use 838 or 505 for plugs in the discs. In the case of emergency opening or if you forget your opening code you can make slow knob twists and carefully listening to tumbler movements that will open the lock (twist left to the first digit via 0, then twist right to the second digit via 0 and then twist the knop left again to the third digit via 0). Listen carefully every time and stop twisting on a digit when a click will be the loudest. If the combination is correct, your safe will click and open itself on the third digit).